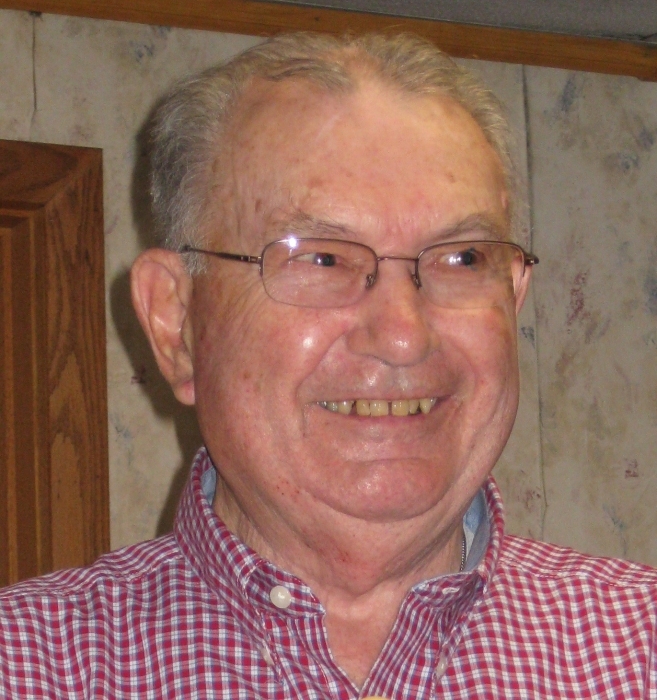 Charles Howard Helt, also known as ‘Chuck’ or ‘Charlie,’ passed away on January 21, 2019 at the age of 89 in Millersburg, Ohio, after a short illness. His love of life and laughter were experienced by all who knew him. Bets are he grabbed his euchre cards and his golf clubs while headed to Pebble Beach, Augusta, and St. Andrews on the way to higher ground. He was a devoted Presbyterian and volunteer leader of his churches in Solon and Coshocton. He was a lifelong Buckeye, born April 4, 1929, in Zanesville, Ohio; raised on a dairy farm outside of Dresden, Ohio; was a graduate of Jefferson High School and a 1952 Ohio State Ag College graduate. Two favorite OSU football memories: January 1950 trip to the Rose Bowl, when guys still wore ties and fedoras to the game, as well as tore down the wooden goal post for souvenirs; and huddling with the last remaining fans at the OSU ‘Snow Bowl’ in the ‘The Shoe,’ November 1950. He began his career as an airplane pilot trainer for the Air Force from 1952-1957. Next, he worked in Chicago then Cleveland for the Diversey, Cowles and Stauffer Chemical companies. Although his career ended early as a result of a brain tumor in 1980, he remained a zealous community volunteer and member of Kiwanis and Ruritan. Charles, twice a widower, was happily married for over 25 years each time: first, in 1982 when married to Patricia O’Donnell, formerly of Hopewell, Ohio. They raised three daughters living in Solon, Ohio. His harem loved family vacations with overnights at Holiday Inns and Howard Johnsons when traveling out west. Second, in 2015 when married to Pauline Buckey Cox of Adams Mills, Ohio. Pauline had 3 children whose grandchildren and his own spent endless hours with Charles playing games, flying kites, golfing, and exploring the woods. Surviving are daughters Sharon (Eric) Strouse of Millersburg OH and Cathy Helt Morningstar (Don Hammond) of Dayton, OH; grandchildren Jordan (Anabel) Strouse of Houston, TX; Marie Strouse (Thomas) Beckum of Caribou, ME; Lorraine Strouse (Nik) Kaufman of Lexington, OH; Keaton Strouse of Millersburg, OH; Ben (Fiona) Campbell of Shoreline, WA; Daniel (Sydney) Campbell of North Canton, OH; Tim (Leigh-Anna) Campbell of Bellefontaine, OH; Anna Campbell (Bobby) Viehmeyer of Charlotte, NC; Jessica Morningstar Davis of Dayton, OH; Rose Jepson of Dayton, OH; and Colman Jepson of Dayton, OH; many great-grandchildren; and brother Jim (Marlene) Helt of Mt. Gilead, OH. Beside his spouses, preceding Charles in death were daughter Linda Campbell of Frazeysburg, OH; parents Richard and Margaret Helt and sister Ruth Helt of Dresden, OH; and sister Virginia Helt Ebers of Sparta, MI. Burial to be held in Solon, OH, January 26, 11 a.m., at Roselawn Cemetery. A memorial service will be held at noon Saturday, February 9 at the Coshocton Presbyterian Church, with calling hours beginning at 10 a.m. preceding the service. In lieu of flowers, a donation may be made to the Coshocton Presbyterian Church or to the charity of your choice.